"Frank Evans. 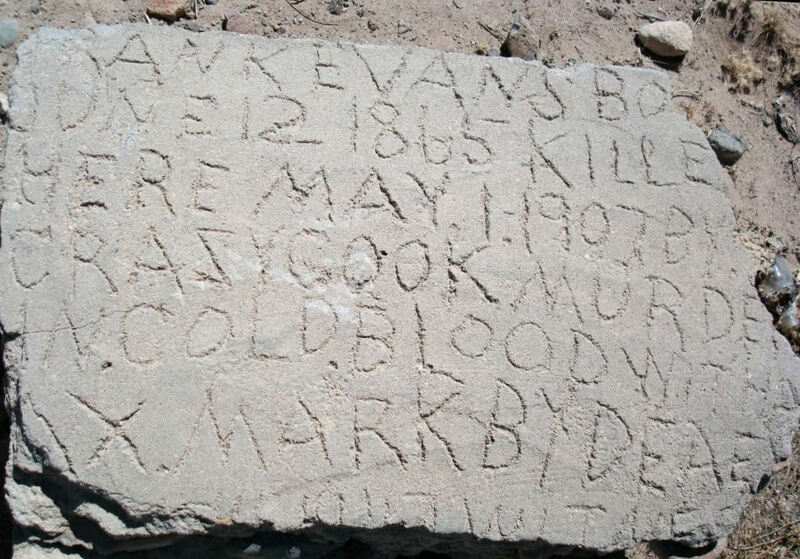 Born june 12, 1865 killed here May 1, 1907 by crazy cook. Murder in cold blood with an ax." to sam hughes memorial trailhead would be appropriate - thoughts on this?? ?